So I was look in one of my bits / parts boxes and find some very old weapons. 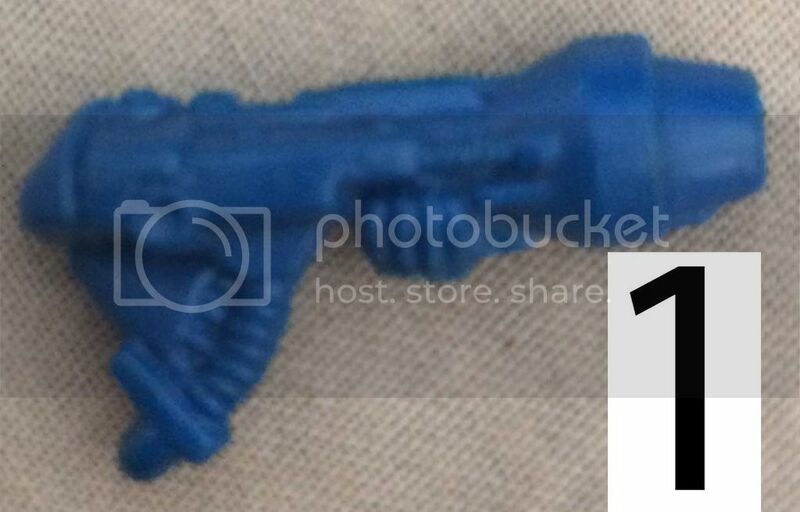 I think they maybe old road trader space marine weapons. 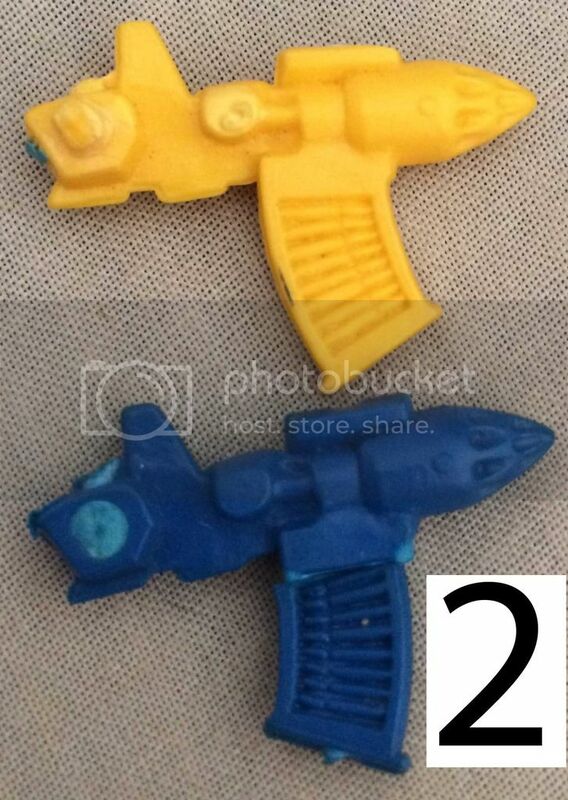 Anyone know what these weapons are called ? I numbered each photo to make it easyer. 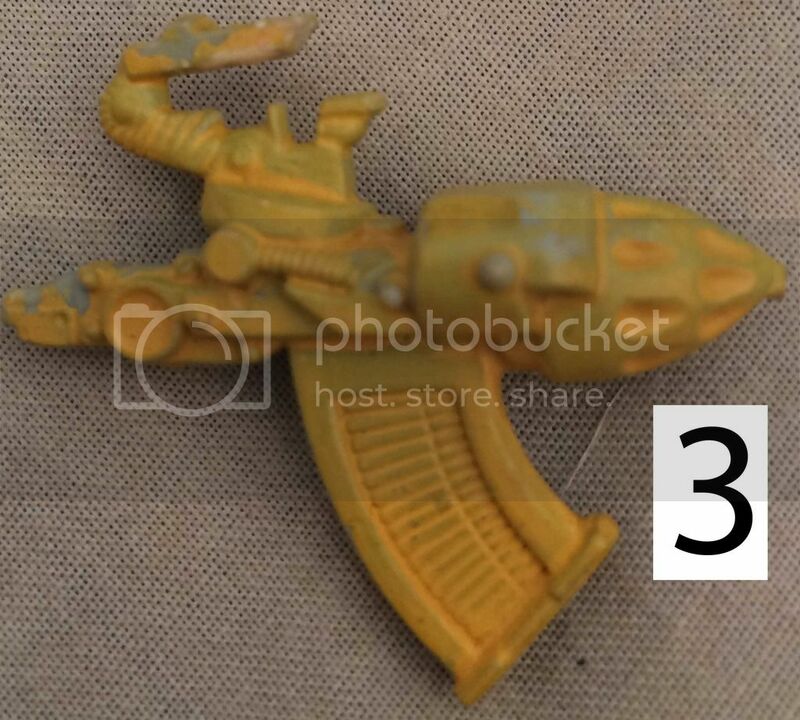 I think they maybe old road trader space marine weapons. I assume you mean Rogue Trader. Not seeing any pics though. 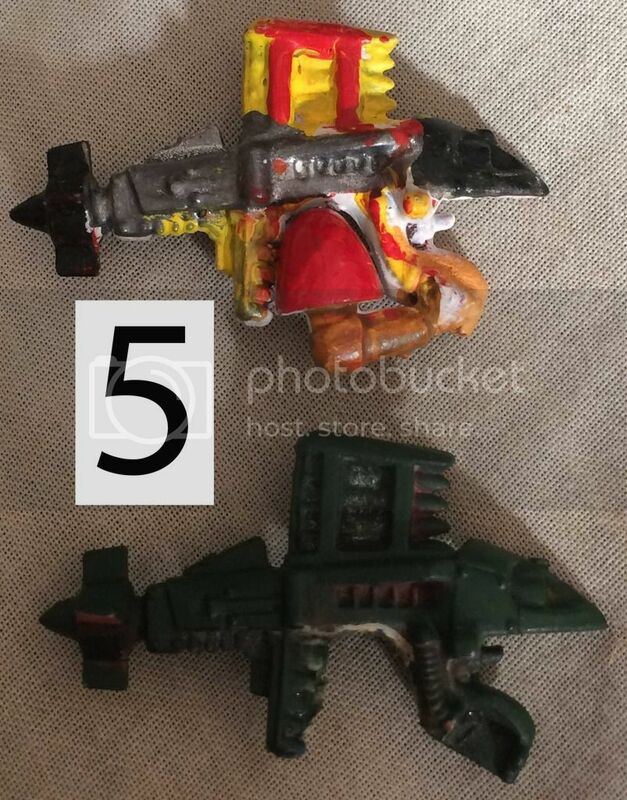 The first is a marine plasmagun, two two is a space crusade missile launcher, three is a chaos missile launcher from space crusade, four is a chaos dreadnought plasmagun, and five is non rogue trader missile launchers. Thank you too everyone that help in the info for the photos. 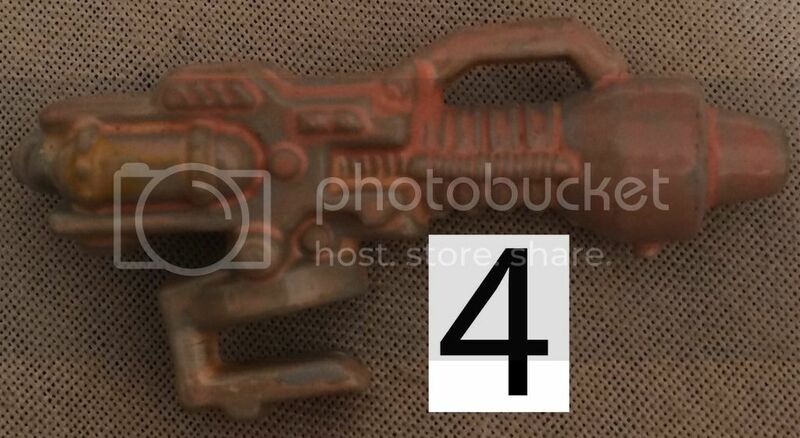 I am pretty sure that 1 and 4 are flamers, but it is hard to tell with these old models. I have all of them around somewhere but in those early days the plasma guns and the heavy plasma guns had a conical discharge nozzle. But ages ago I did take one of those flamers and drilled more ports into it to turn it into a plasma gun. So who knows really? They're actually Space Crusade plasma guns. 1 is the SM version, 4 is the chaos Dreadnought version. All bar the RTB-01 missile launchers at the bottom are from Space Crusade.